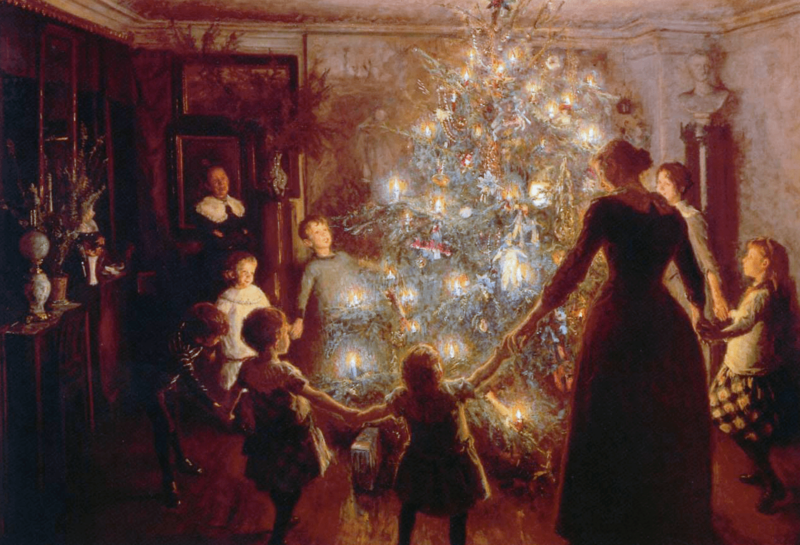 This old print, known as Silent Night, is from a painting by Danish artist Viggo Johansen, 1891, and is nothing short of magical, one of the best representations of the light at Christmas and the bond of family. The joyous family standing around the tree is very evocative and reveals the majesty of a bygone era. The image would make great Christmas cards, tags, or numerous other creative projects. So give this Silent Night Graphic a try. This entry was posted in Christmas Graphics and tagged antique image, Christmas clipart, graphics, holiday clipart, royalty-free, Silent Night, stock image, vintage image on October 4, 2014 by Noel Bryan. A lovely vintage graphic featuring a angel with a holly wreath. 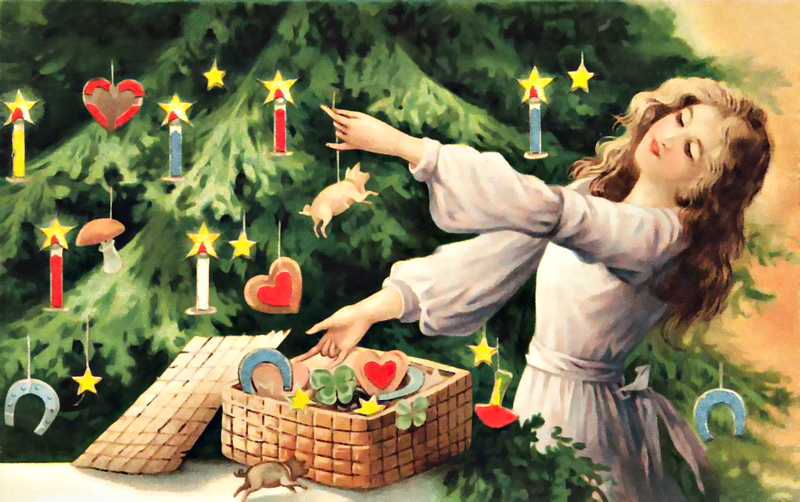 She’s decorating a Christmas tree with hearts and candles. It’s a dark, starry night, and the tree is aglow. A quaint church sets in the background. What a warm and beautiful image, the type of image you’ll use and always treasure as it recalls the promise the Christmas, of that starry night long ago, a symbol of love and beauty. It would be perfect for countless projects, including DIY crafts, scrapbooking, graphic design, and more. 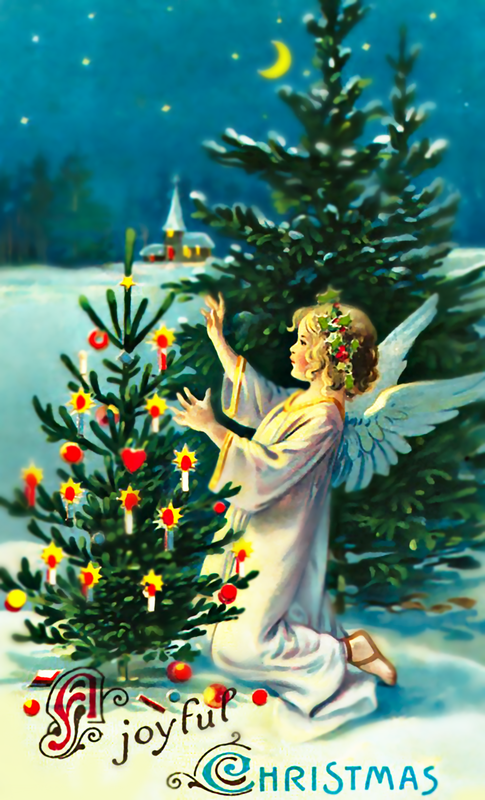 This entry was posted in Christmas Graphics and tagged antique image, Christmas clipart, graphics, holiday graphics, royalty-free, stock image, Vintage Christmas Angel and Tree Graphic, vintage image on October 4, 2014 by Noel Bryan. This is one of my all-time favorite Victorian Santas. There are several Santa’s in this series of artwork, and, luckily, I have most of them. The artist who illustrated them had a great talent. All of the images in the series seems to hold the very spirit of the holiday, the jovial spirit of Santa and the hope of Christmas. They are truly something to treasure. I’ve retouched this image to bring out the vivid colors. This entry was posted in Christmas Graphics and tagged Christmas clipart, father Christmas graphics, graphics, holiday clipart, holiday graphics, royalty-free, stock image, vintage image on October 4, 2014 by Noel Bryan. 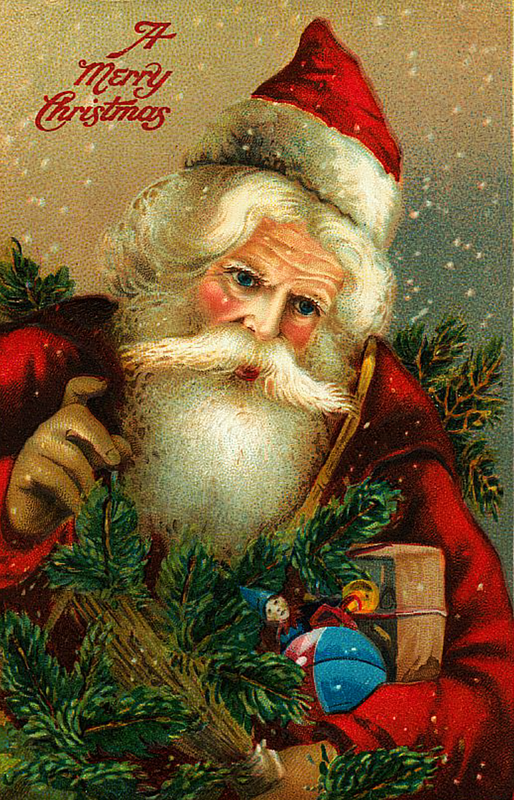 This old world Santa, from a late 1800s German postcard, is one of a kind and will be a great resource for your holiday designs. He carries a sack full of gifts, toys, and a Christmas tree. This santa would make great tags for scrapbooking, Cardmaking, or for a fabric transfer. I can just imagine this image on a handcrafted pillow or other DIY craft. A friend was just telling me today about how you can transfer these images to fabric to create all kinds of womderful things. She creates little pillows, called “Bowl Filler Ornies” with them, scents them with cinnamon oil, and put them in a sparkling glass bowl, along with poporri and other small ornaments for a festive holiday look. Wow! I’ll have to give it a try. I hope you will too. 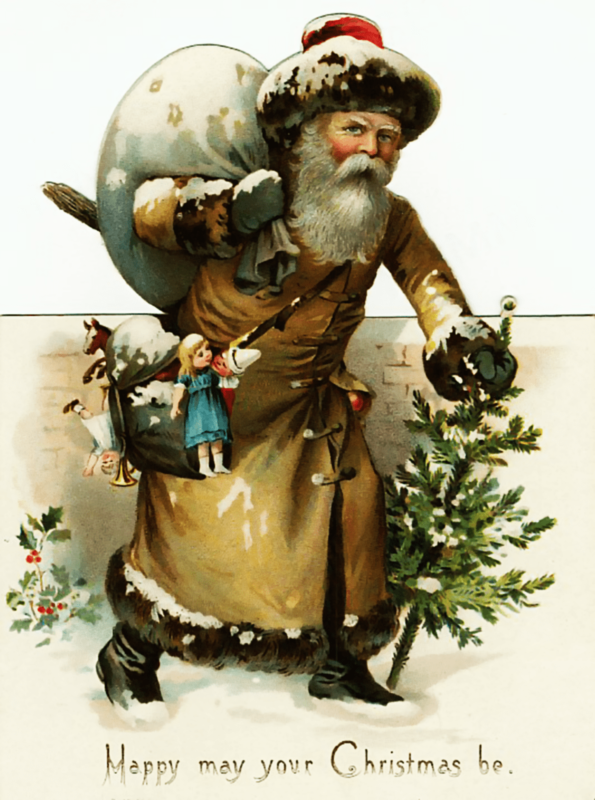 This entry was posted in Christmas Graphics and tagged Christmas clipart, clipart, graphics, holiday clipart, royalty-free, stock image, Victorian Santa on October 4, 2014 by Noel Bryan. Christmas Bench Clipart. Click the image to view and download the full-size version. Free Christmas Bench Clipart. 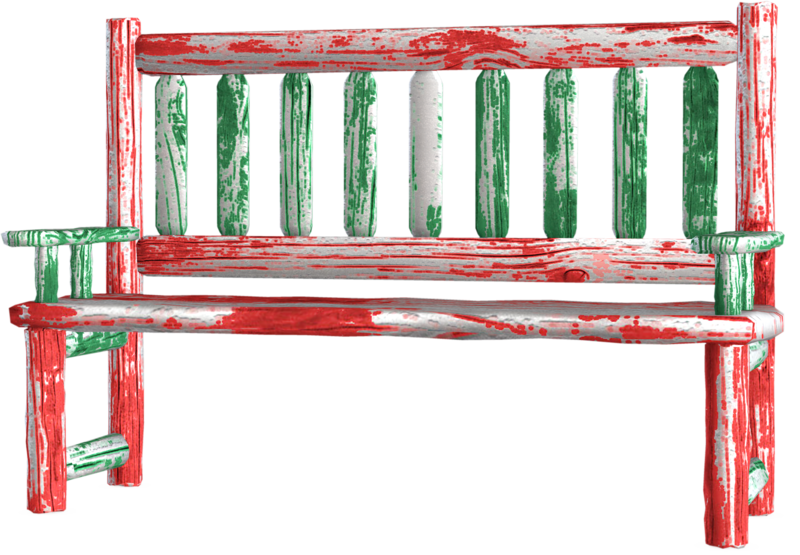 Make a cheerful outdoors scene with this green and red bench. It goes with our Santa’s cottage graphics. It’s a PNG file with a transparent background. This entry was posted in Christmas Graphics, Furniture and tagged Christmas clipart, clipart, graphics, PSP tubes, royalty-free, stock image on October 4, 2014 by Noel Bryan. 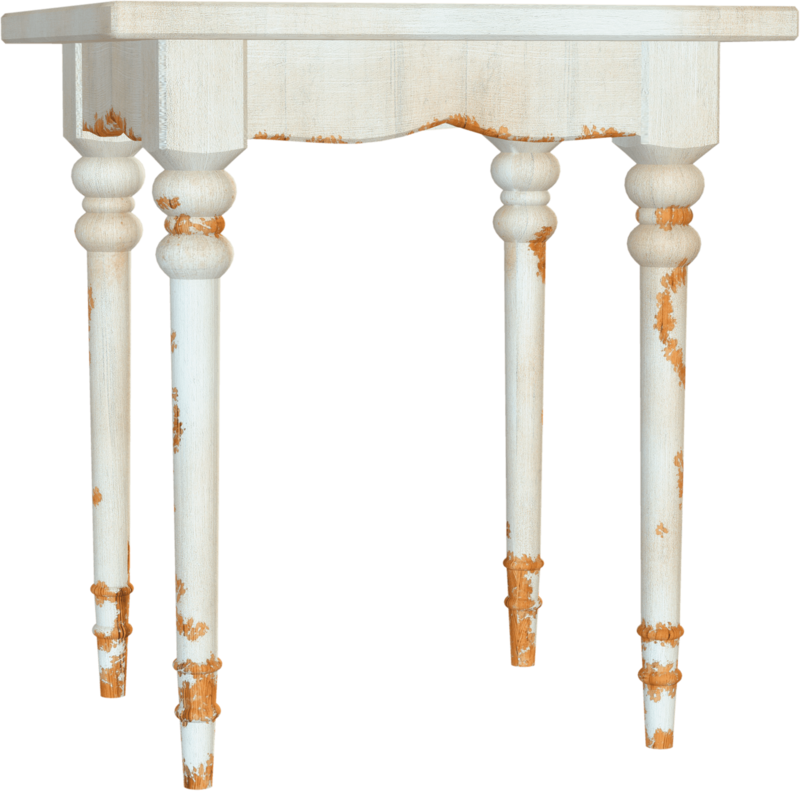 A shabby chic table for you to use in your designs. This entry was posted in Furniture and tagged 3D, clipart, graphics, royalty-free, shabby chic, stock image, tube on October 4, 2014 by Noel Bryan.